September seems to be a good month for me for getting things done. 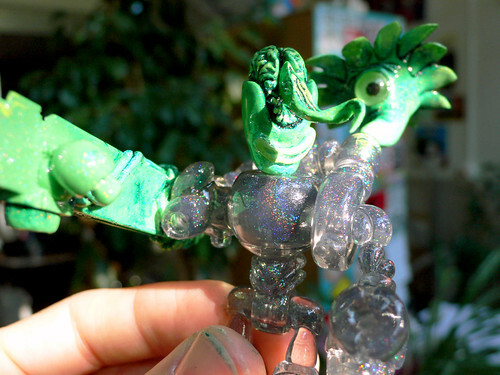 Hot on the heels of my custom Jouwe and my custom Eyezon comes this rotopolpress exclusive run of Charlize Harlow. 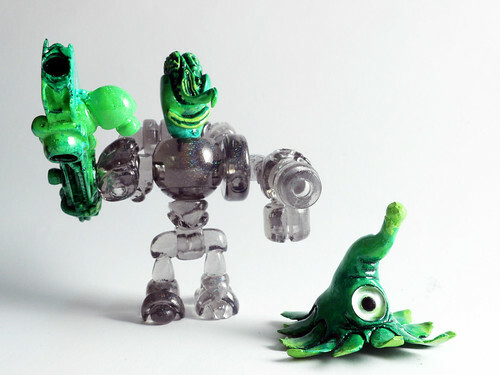 This edition of 10 was cast in green resin with clear grey Glyos Buildman parts and painted with Monster Kolor color change automotive effect paint. The toy will be available first at the Comic Festival in Hamburg this weekend (23.09.2010 – 25.09.2010). 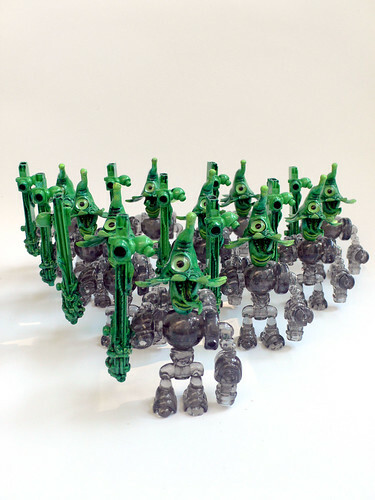 Remaining units will be sold via rotopolpress.de later on. The effect paint is notoriously hard to take pictures of but here is one that gives a relatively good impression of what it looks like. 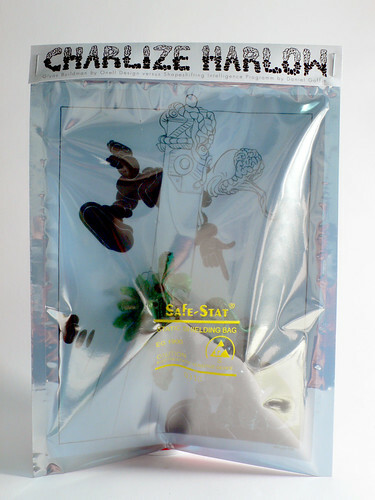 And, I believe I haven’t shown a picture of the packaging either. Bagged in a static shielding bag with back card and header.